Prisoner #42816 spent 23 months in a Chinese jail, first in the Shanghai Detention Center and later in Qingpu Prison. The charge was “illegally acquiring personal information” of Chinese nationals, a claim he vehemently denies to this day. Prisoner #42816 is Briton Peter Humphrey. Last month, he published his first account of My life inside a Chinese jail in The Financial Times. His account is astounding. The political cynicism behind the arrest. His barbaric treatment. The near miraculous release thanks to diplomatic pressure. Humphrey also gives us an extremely rare look into the vast Chinese prison-industrial complex once known as the laogai. Chinese outcasts and outlaws – the sort of poor, marginal, tradition-bound folk that Maoist doctrine pretends has been eradicated by Communism. Following his release from prison, Liao published those interviews. They were hugely popular among the Chinese until suppressed by the censors. Liao was nonetheless able to publish his collection abroad as The Corpse Walker: Real-Life Stories, China from the Bottom Up. 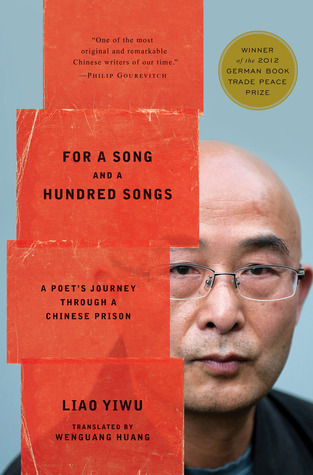 Liao also wrote a prison memoir. In the Song Mountain Investigation Center in Chongqing, the chief prisoner and his “cabinet members” set the rules. Enforcers and a “housekeeper” ensure compliance. These prisoners constitute the upper class. emptied the toilet bucket into an outside latrine twice a day. In addition, they had to stand, two at a time, in front of the toilet bucket to form a human screen, giving privacy to the chief and his friends when they relieved themselves. When someone had problems sitting on the bucket, the toilet thieves would hoist the person over the bucket and let him use their shoulders. In Shanghai, each detainee gets a vest. Red is for newcomers, green for those with a chronic disease and orange for the rest. Orange vests sat on designated spots beside the wall. Red vests – new boys – faced the grille studying a brown rule book. We went to the toilet in turns, red vests last. I never said I wanted to go into exile or flee. It’s just because if I didn’t my books wouldn’t get published. [The authorities] said, “two books of yours can’t be published overseas.” One is the prison book. The other is the God book. They said both are unacceptable. […] They said these were “illegal cultural products.” They said these two books disclosed secrets. The prison book came out in Germany in 2011. In 2013, the book appeared in English as For a Song and a Hundred Songs. If Liao had remained in China, the authorities would been taken the manuscript again and maybe Liao, too. A similar risk hung over Humphrey’s head. As a foreigner, Humphrey got benefits not available to the general prison population. Qingpu Prison had a special cell block designated for foreigners. Consulate officials could visit their nationals in prison and this was a lifeline. But Humphrey was also in desperate need for medical care. It was never certain that he would survive his 30 month prison term to tell the tale. His experiences track what I’ve learned about mass incarceration in wartime. I’m plumbing the topic to write my own fictional prison memoir. A set of interlocking short stories will make up my third novel, Laogai. once one of China’s notorious – and supposedly now abolished – “education through labour” prisons for miscreants in the Communist party-ruled dictatorship. Today, they pretend to be custody centres but they are still punishment centres. The difference between a laogai and a laojiao is subtle. The former purports to reform its prisoners while the latter wants to re-educate. But the real difference is that a laojiao doesn’t bother with judicial procedures. Whether it’s a prisoner-of-war camp, the gulag, a laogai or a laojiao, the prisoner experience seems to be universal. The king rat in Humphrey’s cell block 8 controls food and job assignments. Snitches and “trusted prisoners” eavesdrop on Humphrey’s conversations. It’s a way to earn points toward sentence-reduction. The film Paradise in Service shows female prisoners in Taiwan doing exactly that by volunteering to work in a military brothel. Richard Flanagan dedicated The Narrow Road to the Deep North to his father, prisoner #335 on the Burma Railroad. Dehumanization is the purpose of all these institutions and it begins by reducing a human being to a number. Untried prisoners are condemned from day one, starting with the dire conditions they face when they arrive. The aim is to isolate, crush the spirit, break the will. Many crumble quickly. 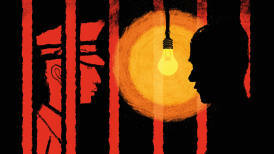 In China, you deliver a prisoner to a detention center in the dead of night so as to maximize disorientation. Lights are on 24/7. A low-pitched horn tells you when it’s time for food, exercise, study or sleep. For Humphrey, study means propaganda lessons sometimes delivered live or otherwise via closed-circuit TV. Nobody took “study” seriously, though sometimes we had to write a commentary on the session. the most dreaded aspect of incarceration was not the frequent beatings, the hard labour or even the grinding hunger. It was the thought reform, referred to by one victim as a ‘carefully cultivated Auschwitz of the mind’. The Chinese authorities wanted Humphrey to confess. From the day he entered the Shanghai Detention Center until the day of his release. Sometimes the request was oblique. “What are your thoughts?” a bespectacled senior officer asked me when I arrived [in Qingpu Prison]. “I don’t know what you mean,” I replied. “What will you do here?” he asked. I did not realise that his questions were euphemisms for, “Will you write the acknowledgment of guilt and ‘repentance report’?” that was required of all prisoners. The Party say: to those who confess, leniency; to those who resist, severity.